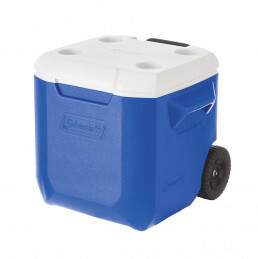 If you’re an Aussie you probably call it an Esky, from the USA a cooler, or from New Zealand a chilly bin. Who knows what weird name the Europeans have for it. An ice chest? Whatever moniker you have for the thing that keeps your beer cold in summer, this guide explores the best options out there. While there are plenty of brands doing their own versions, we’ve found the companies who really focus on this as their key product are the ones who absolutely nail it. Here are your best coolers on the market. Is this a cooler or a fridge? It’s hard to tell. Really it’s a hybrid between the two. If you do some serious camping or 4WDing into surf spots and love to have a cold-tin at the end of the day, then these bad boys are amazing. They plug into the cigarette lighter in your car (most good cards have them in the trunk too, which is where you’d keep it). If you’re camping, there’s also an adapter to plug one into a regular power outlet. Even when they’re not running, things are extra insulated to keep that cold streak icy. Yeti has been charging lately, really making headway into surfer’s cars, boats or bbq setups. While their big, hard Tundra is a ripper, we’re really into their soft Hoppers. 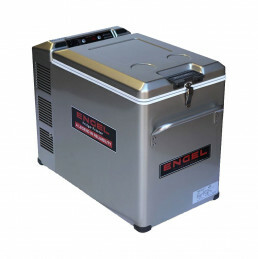 As far as coolers that are easy to cart around go, this one is epic. The special insulation and zippers mean things stay cool for days on end and they’re perfect for chucking in the back of your car, then taking down to the beach. The 30litre version is a great size that’s not too big to carry, yet fits plenty inside as well. The official cooler? of the Wozzle, Hydroflask has done to the cooler/bottle/cup market what Sunbum has done to the suncream market. Put their product absolutely anywhere and everywhere. Hard to walk into an outdoors/beach store and not find Hydroflask these days, they’ve done a good job at getting it out there. This, their 22L Cooler Backpack, was a new find for me. I wasn’t aware they did coolers but this one looks pretty great. Watertight zips, a waterproof nylon shell and a 5yr warranty make it an attractive buy if you’re looking for something that’s easy to carry around and keep your drink chilled. This one is for ice addicts. Not the tweaker kind, but the kind who likes water in its solid form for longer. This top of the wozza option from Esky fits 70L of stuff, has compartments to separate our your snags from your stubbies and can keep ice frozen for up to 7 days. That’s a whole week in case you aren’t a maths whiz. There’s even an LED light when you open it so you don’t get a can of mid-strength by mistake. Bring the party with you wherever you go. The Ivanhoe Duffle is perfect for tailgating, boating, beach days and more. Plus, it comes with a removable, padded strap that’s adjustable to keep you comfortable along the way. Corkcicle is another brand that’s been making inroads in the surf market, and are making a pretty great product. This, their Ivanhoe Duffle, is the first cooler x duffle combo I’ve seen. Look like you’re going away for the weekend but just be travelling with a bag full of cold booze. Perfect for the economy travellers amongst us. If you’re not into spending big bucks on your keeping your tins cold, then a Coleman could be your go to. It’s a more value option that’s still sturdy, has wheels and a telescopic handle to let you drag it around and has a couple of drink holders on top to use as a makeshift workbench if you need. There are special variations of this in BCF and Anaconda, but you can go direct and get the original and it’s just as good. Traditional periwinkle blue is just bloody great too.